Over the next two weeks I will be posting my favorite Thanksgiving seasonal recipes, one every few days. This weekend I made my first pumpkin pie of the season, and hopefully not my last one! Although I do not make this pie exactly from scratch, I figured I’d kick off Pumpkin Palooza with that recipe, which is straight off the side of the Libby’s Canned Pumpkin can, so that I could also post the picture of it. Be sure to check back every few days, or even better: subscribe to the blog, so that you don’t miss a single recipe! I’ll finish up in time for Thanksgiving so that you can use them or share them as needed. I’m thankful to be able to share my family’s recipes with you this Thanksgiving! Comment and let me know what special recipes you make for the holiday! Here’s Libby’s Pumpkin Pie recipe. Enjoy! 1) Mix sugar, salt, cinnamon, ginger, and cloves in small bowl. 2) Beat eggs in large bowl. 3) Stir in pumpkin and sugar-spice mixture. 6) Bake in preheated 425 degree oven for 15 minutes. 7) Reduce heat to 350 degrees and bake for 40-50 minutes or until knife comes out clean. Cool for at least two hours and then serve or refrigerate. Oh this looks yummy. 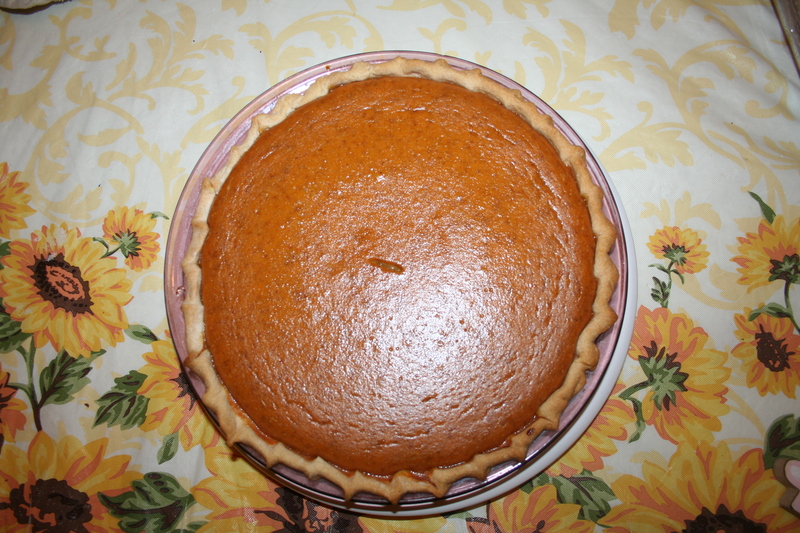 I literally just posted a pumpkin pie recipe of my own, perhaps you are interested? yes, you know I meant to follow your blog last time you posted. Heading there now! Right now I have pumpkin swirl brownies in the oven too. Needed 2 desserts for tonight. I’ll post the recipe for those this week.